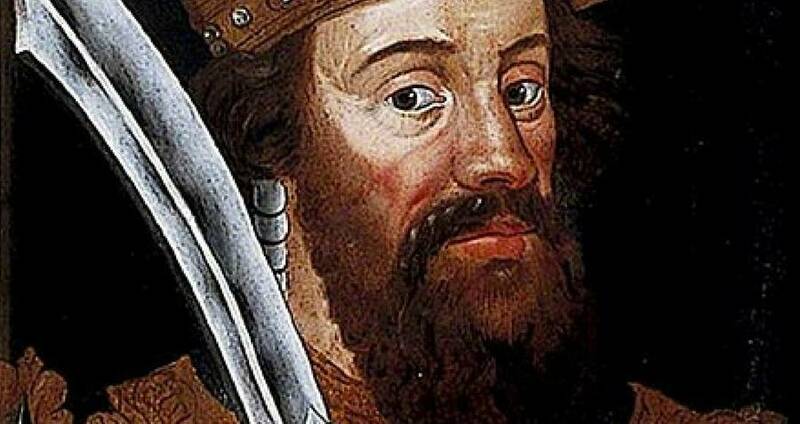 William the Conqueror indulged heavily while he was king. His gluttony was eventually his downfall. Wikimedia CommonsA portrait of William the Conqueror from 1580. Funerals are, historically, solemn events, orchestrated just so that the dearly departed have one final, lovely send off. For the most part, everything is planned to avoid catastrophe. However, those who organized William the Conqueror’s funeral failed to account for one detail — one which resulted in the fallen monarch’s corpse exploding all over everyone in attendance. 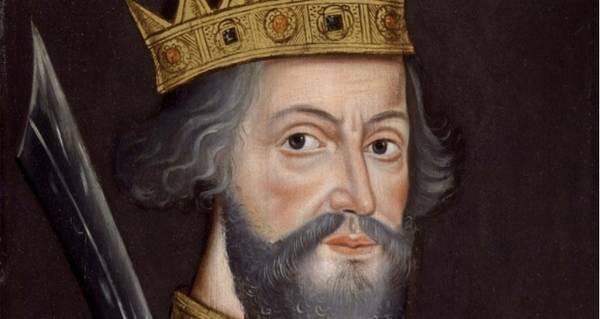 When William the Conqueror was born, his parents were unwed. For most of his childhood, William lived with his mother until his father’s death at eight years old, when he took on his father’s titles. As William became Duke of Normandy, the region was thrown into disarray. Unhappy citizens led rebellions, and in return, William burned down villages, slaughtered thousands, and thrust the survivors into poverty. However, being king and thus carrying with him a certain sense of entitlement, William indulged in all the finest foods of the day, ultimately growing to an impressive size. Unfortunately, there were perils to his gluttony. In 1087 — while campaigning against his own son no less — William was gravely injured. The horse he had been riding reared unexpectedly. Being as large as he was, his weight was unevenly distributed, and when the horse reared, the saddle was pushed into William’s large abdomen, puncturing his intestines. For six weeks, the medical professionals at the time unable to perform the necessary surgery to save his intestines, due to his size. Eventually, he passed away. However, the long journey of William the Conqueror to his gravesite was far from over. Because William was less than beloved by his people, those who had served him in life abandoned him in death. At the time, funerals and burial services were usually planned by those who had attended to the deceased. However, William’s attendants had fled as soon as he died, leaving him alone. 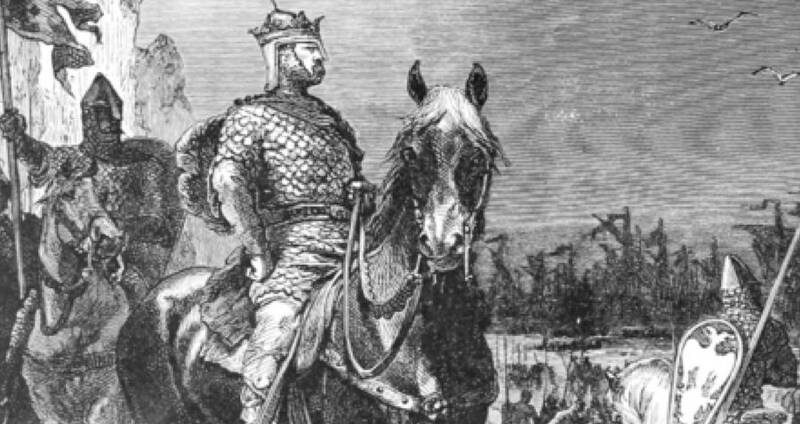 Wikimedia CommonsWilliam the Conqueror on his horse. After a short time, during which the body of William the Conqueror lay half-naked in a medical facility in Rouen, France, a traveling knight took on the task. However, the embalming of the body had been put off for so long, that the tissue had started decomposing already. The knight didn’t seem to mind, though, and embalmed him anyway. Though the body had been mostly taken care of, there was still a journey ahead of the knight and the corpse. The church where William’s body was supposed to be buried was in Caen, 70 miles from Rouen, most of which could only be traveled by boat down the Seine, which was, of course, a leisurely mode of transportation. By the time the envoy arrived at Caen, the bacteria that had grown in William’s injured intestines had begun to seep into his body cavity, and fill it with putrid gas. To make matters worse, upon the pair’s arrival, a fire broke out in the city. After that, a man appeared who contested the burial, claiming the church had been unlawfully built on his land. By the time the burial could actually take place, it had been weeks since William’s death. The residual heat from the fire combined with the delay it caused had resulted in William’s bowels inflating to even larger proportions than they had been while he was alive. As the gravediggers were lowering William into the hole in the ground, they realized they had not accounted for his inflated size — the hole was too small for William to fit, and when they attempted to squeeze him in, he burst. The crowd was immediately covered in the former Duke’s putrified innards and overwhelmed by the scent of decomposing flesh. The funeral was hastily finished, and quickly forgotten, though most decided that the disastrous funeral and horrible mistreatment of the body was ultimately a worthy one. William had been particularly unliked and unusually vicious during his reign, and it was fitting that the gluttonous king finally got what he deserved. On the upside, William the Conqueror finally managed fit in his tomb. Next, read about the single funeral held for nine European kings. Then, read about corpse medicine, which rich Europeans once thought could cure what ailed them.